Are you aware of the multitude of career options connected to your major? Learn what you can do with your college degree! 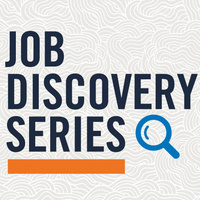 Gather the information you will need to make effective personal decisions during Job Discovery Series: Putting Your Degree to Work at UCR. Our workshop will host a panel of industry professionals to help you discover careers you might not have previously considered. It is also an amazing networking opportunity!